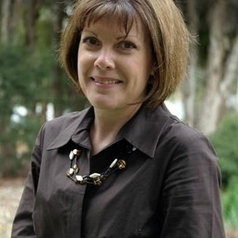 Debra is a Board Director and Fellow of the Australian Psychological Society and member of the Scientific Leadership Council for the Cooperative Research Centre for Young People, Technology and Wellbeing. Debra has ministerial appointments to the National Health and Medical Research Council’s Australian Health Ethics Committee and Australian Health Care Committee. Her research interests are: help-seeking behaviour, youth mental health and wellbeing, alcohol and other drug use, mental illness recovery, health service use and health policy. She is currently involved in research, evidence translation and knowledge transfer related to young people’s mental health and wellbeing. Her work spans the entire spectrum of interventions, but has a particular focus on help-seeking behavior, early intervention, and the role of new and emerging technologies in promoting young people’s mental health through an ‘e-spectrum’ of interventions. She has undertaken significant policy-related work for the Australian government in relation to promotion, prevention and early intervention for mental health.